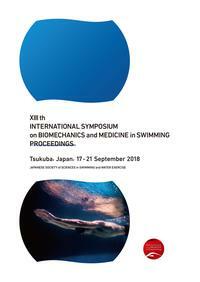 This proceeding book contains peer reviewed seventy scientific articles which were presented in XIII th International Symposium on Biomechanics and Medicine held in 17th to 21st, Sep. 2018 at Tsukuba University, Japan. The contents are diverse, and the latest research results on various kinds of swimming and underwater exercise in different research areas are introduced. It is an essential book for researchers, coaches, medical staffs and swimmers involved in the swimming and water exercise.